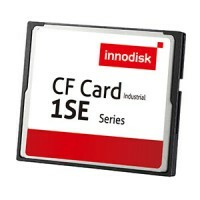 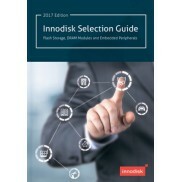 Твердотельные диски SSD купить | Innodisk в Украине – официальный дистрибьютор компания ХОЛИТ Дэйта Системс. 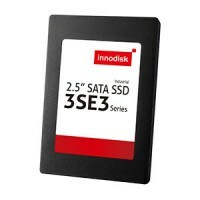 Твердотельный диск FiD 1.8" SATA D150 SSD with Toshiba(SATA 7+15P) (Industrial, Standard Grade, 0℃ ~ +70℃)The FiD 1.8"SATA D150 is an entry-level SLC SSD that supports most standard SATA port platforms. This economic SSD can save up to half the space inside a motherboard. 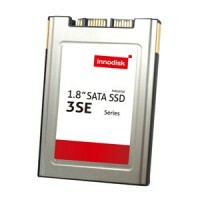 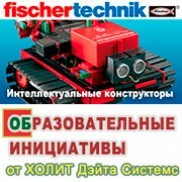 The FiD 1.8" SATA D150 oper..
Твердотельный диск FiD 1.8" SATA D150 SSD with Toshiba(Industrial, W&T Grade, -40 ~ 85℃)The FiD 1.8"SATA D150 is an entry-level SLC SSD that supports most standard SATA port platforms. This economic SSD can save up to half the space inside a motherboard. 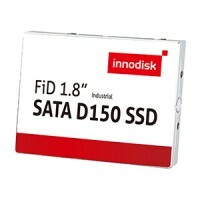 The FiD 1.8" SATA D150 operates under SATA II..
Твердотельный диск 2.5" PATA SSD 1SE(Industrial, Standard Grade, 0℃ ~ +70℃)Innodisk 2.5” PATA SSD 1SE complies with ATA 7 standard, and supports Ultra DMA (0-5) and PIO (0-4) transfer modes, which delivers good performance and reliability making it the ideal solution for a variety of applications, i..
Твердотельный диск 2.5" PATA SSD 1SE (Industrial, W&T Grade, -40 ~ 85℃, Thermal Sensor)Innodisk 2.5” PATA SSD 1SE complies with ATA 7 standard, and supports Ultra DMA (0-5) and PIO (0-4) transfer modes, which delivers good performance and reliability making it the ideal solution for a variety of app..
Твердотельный диск 2.5" SATA SSD 3SE(Industrial, Standard Grade, 0℃ ~ +70℃)2.5" SATA SSD 3SE(Industrial, Standard Grade, 0℃ ~ +70℃)..
Твердотельный диск 2.5" SATA SSD 3SE (Industrial, W&T Grade, -40 ~ 85℃, Thermal Sensor)2.5" SATA SSD 3SE (Industrial, W&T Grade, -40 ~ 85℃, Thermal Sensor)..
Твердотельный диск 1.8" SATA SSD 3MG3-P w& Toshiba 15nm (Industrial, Standard Grade, 0℃ ~ +70℃)1.8" SATA SSD 3MG3-P w& Toshiba 15nm (Industrial, Standard Grade, 0℃ ~ +70℃)..
Твердотельный диск 1.8" SATA SSD 3MG3-P w& Toshiba 15nm(Industrial, W&T Grade, -40℃ ~ +85℃)1.8" SATA SSD 3MG3-P w& Toshiba 15nm(Industrial, W&T Grade, -40℃ ~ +85℃)..
Твердотельный диск 1.8" SATA SSD 3MR3-P w& Toshiba 15nm(Industrial, Standard Grade, 0℃ ~ +70℃)1.8" SATA SSD 3MR3-P w& Toshiba 15nm(Industrial, Standard Grade, 0℃ ~ +70℃)..
Твердотельный диск 1.8" SATA SSD 3MR3-P w& Toshiba 15nm (Industrial, W&T Grade, -40℃ ~ +85℃)1.8" SATA SSD 3MR3-P w& Toshiba 15nm (Industrial, W&T Grade, -40℃ ~ +85℃)..
Твердотельный диск 1.8" SATA SSD 3SE (Industrial, Standard Grade, 0℃ ~ +70℃)1.8" SATA SSD 3SE (Industrial, Standard Grade, 0℃ ~ +70℃)..
Твердотельный диск 1.8" SATA SSD 3SE(Industrial, W&T Grade, -40 ~ 85℃, Thermal Sensor)1.8" SATA SSD 3SE(Industrial, W&T Grade, -40 ~ 85℃, Thermal Sensor)..
Твердотельный диск 1.8" SATA SSD 3SE3-P (Industrial, Standard Grade, 0℃ ~ +70℃)1.8" SATA SSD 3SE3-P (Industrial, Standard Grade, 0℃ ~ +70℃)..
Твердотельный диск 1.8" SATA SSD 3SE3-P(Industrial, W&T Grade, -40 ~ 85℃, Thermal Sensor)1.8" SATA SSD 3SE3-P(Industrial, W&T Grade, -40 ~ 85℃, Thermal Sensor)..